Full-page ad by group affiliated with Rabbi Shmuley Boteach accuses pop singer Lorde of anti-Semitism, slams her native New Zealand. 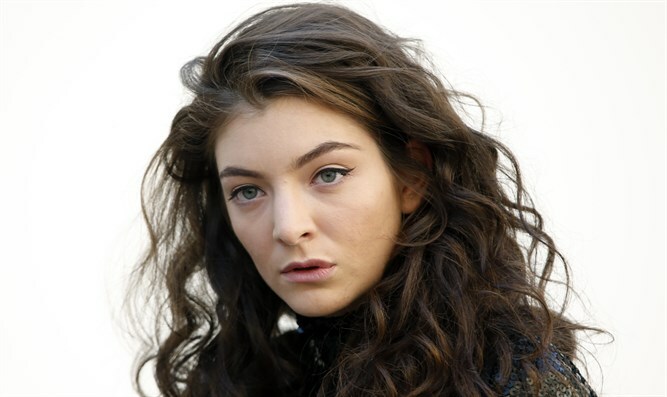 A US-based Jewish organization has accused pop singer Ella Marija Lani Yelich-O’Connor – better known by her professional name, Lorde – of anti-Semitism, following her recent cancellation of a show in Tel Aviv at the behest of supporters of the Boycott, Divestment, and Sanctions movement. Just days after publicists announced a planned concert in Tel Aviv Lorde backed out following pressure from the BDS movement. A day later, the 21-year-old singer said that she had made the “right decision at this time” by cancelling the performance. 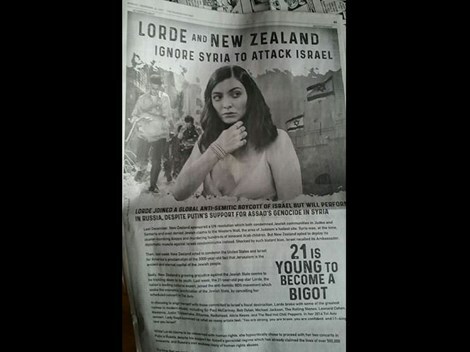 In response to Lorde’s decision, This World: The Values Network, founded by Rabbi Shmuley Boteach, ran a full-page ad in the Washington Post, slamming Lorde as a “bigot”, blasting New Zealand’s recent support for an anti-Israel resolution at the United Nations General Assembly. “21 is young to become a bigot,” the ad stated. The ad also features a picture of Lorde, superimposed over an image of the Old City of Jerusalem on one side, contrasted with a picture of the carnage of the Syrian civil war on the other. On December 21st, New Zealand voted in favor of a UN General Assembly draft resolution submitted by Turkey and Yemen which condemned Israel and rejected President Trump’s recent recognition of Jerusalem as Israel’s capital. Last week, comedian Roseanne Barr excoriated Lorde in aseries of tweets, calling her a “bigot”.